Cloud computing is location-independent computing, whereby shared servers provide resources, software, and data tocomputers and other devices on demand, as with the electricity grid. Cloud Computing as the term indicates implies using the cloud infrastructure or internet based shared infrastructure to host and access applications. That means hosting application and their data on a shared servers on the internet and access the applications through a browser. 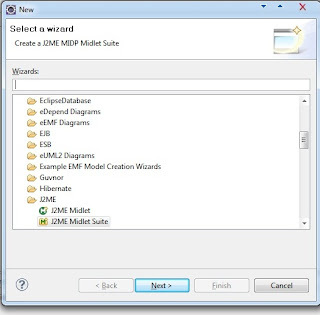 Completely shift from Desktop based model to Web based model. In cloud computing model applications are web based hosted on a cloud server and users can access the applications through a web browser. Hosting application and services. Today most business organizations host application on their servers and use their firewalls. So adding these things is a extra overhead for organizations. Moving to the cloud model make it easier to organizations. Security, a key implication in cloud computing is that security risk added by the third party provider. Cloud computer has various flavors of implementation. In here we talk about SaaS(Software as a Service) , PaaS(Platform as a service), IaaS(Infrastructure as a service). This term describe software that is deployed over the internet. The services are provided with typically payment charged on monthly basis based on the number of users or services consumed. Provide the ability for building and deploying custom application on their platform. Amazon EC2 , Microsoft Azure , Google App Engine are some of service providers. Provide computer and server infrastructure as a virtualization environment. Amazon Web Services and Rackspace are examples of service provides. Here is the brief description about cloud computing. In this tutorial I will show you the required steps how to setup your computer to develop Android applications in windows. Android is a software platform and operating system for mobile devices. 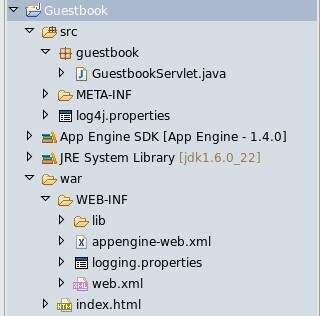 It based on linux kernal and it written on Java language but not use JVM to execute the applications. 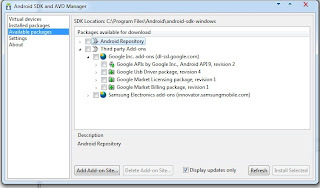 Here are the requirements to setup Android in your machine. 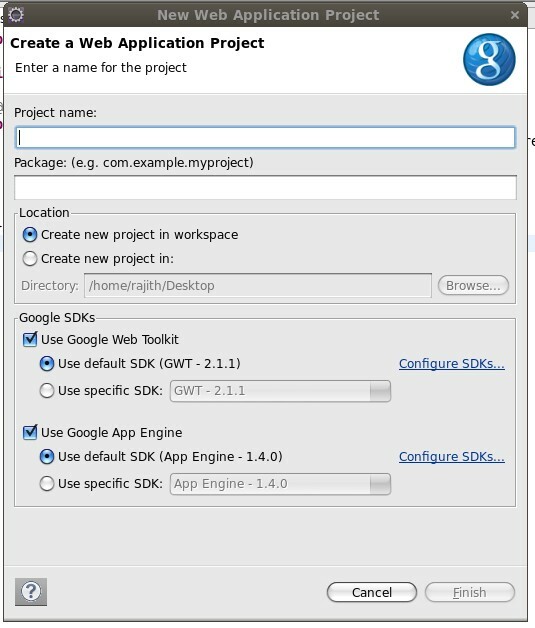 First you have to download the appropriate Android SDK from http://developer.android.com/sdk/index.html here. Its free and anyone can download it. After downloading unzip it and install it. 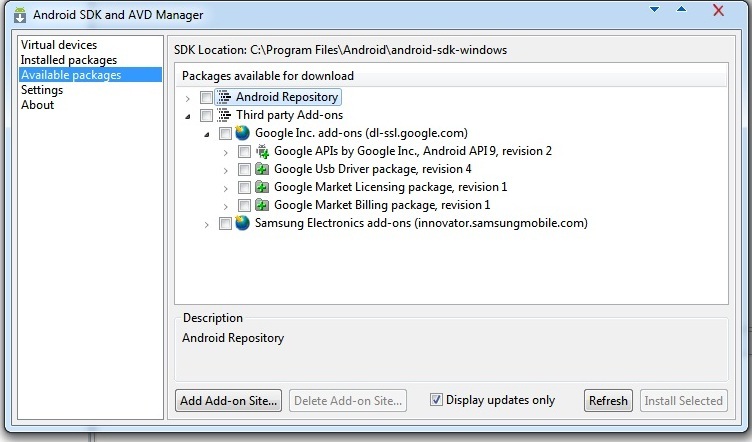 Now you will get the Android SDK Manager. To get the full benefit go to Available packages and install the Third party add-ons . 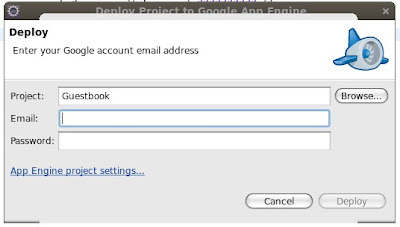 It includes the Google APIs. 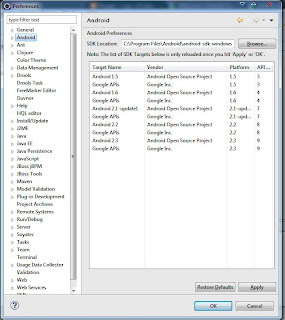 In order to run your apps you want to set the Android Path in Environment variable. Now Every thing is set. But to develop applications you need Eclipse IDE. You can use any IDEs that support Java. But using eclipse you can get the lots of benefits. 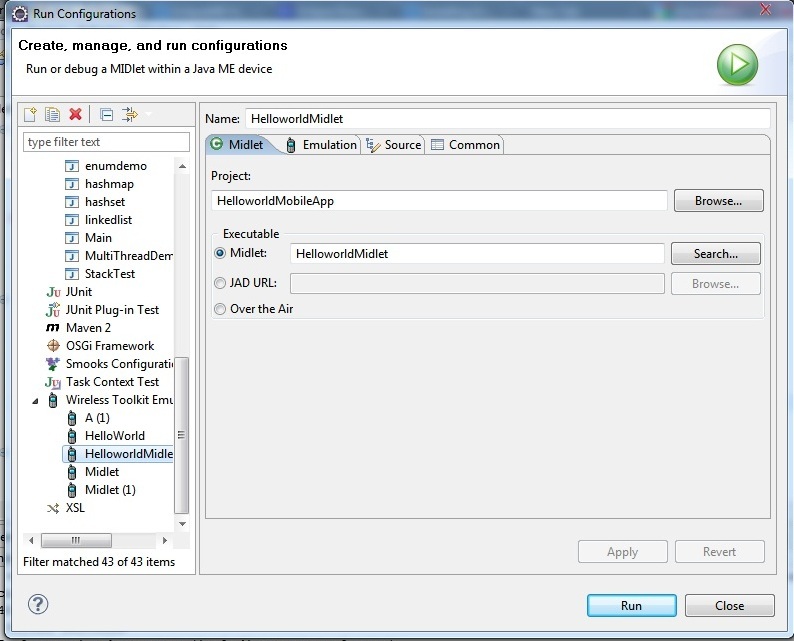 Enter 'ADT Plugin' for the Name and enter 'https://dl-ssl.google.com/android/eclipse/' for the URL and Select OK.
Click Next in the windows and click Finish. After that restart the Eclipse to apply the changes. 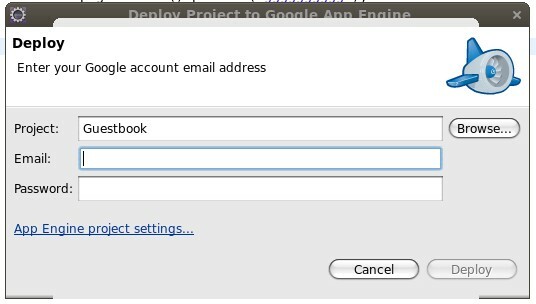 To configure Eclipse follow these steps. 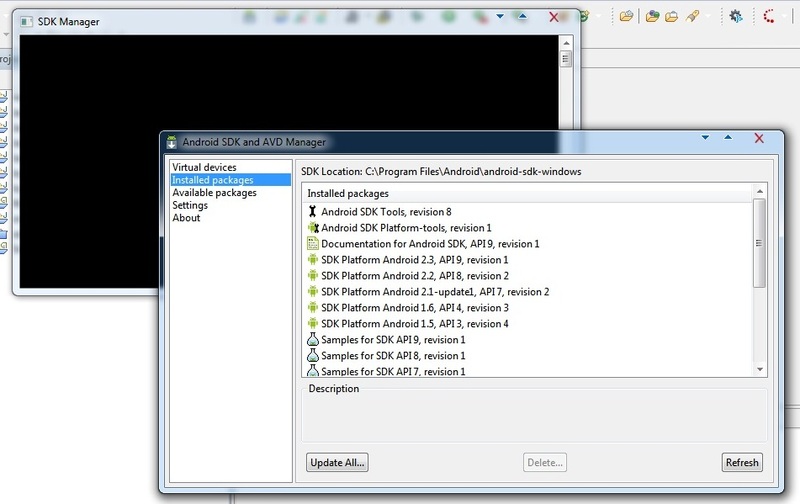 3.Give the SDK location and click Apply. 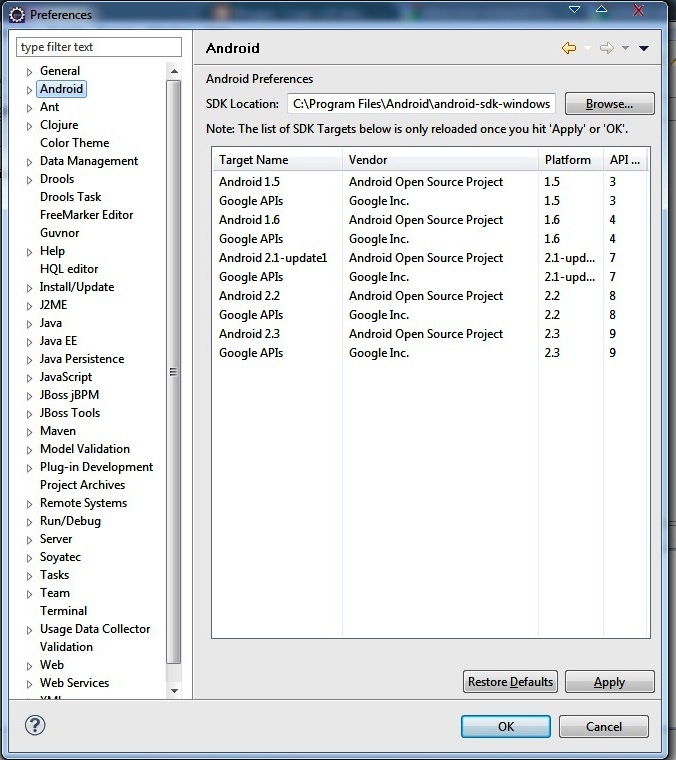 Now you can create any Android application in your computer. 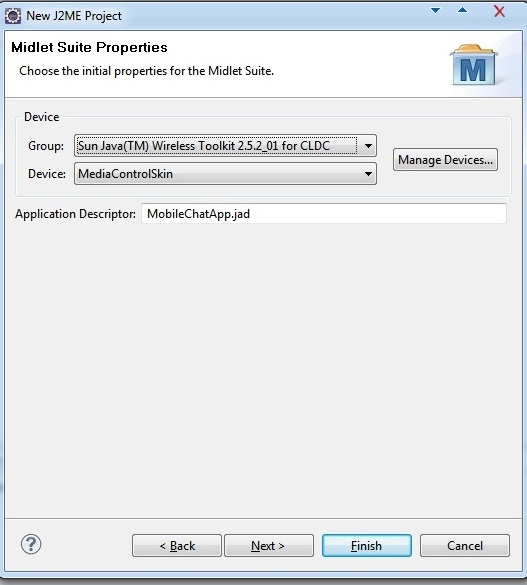 In this tutorial I'm going to show you how to create a simple mobile application in Eclipse IDE. 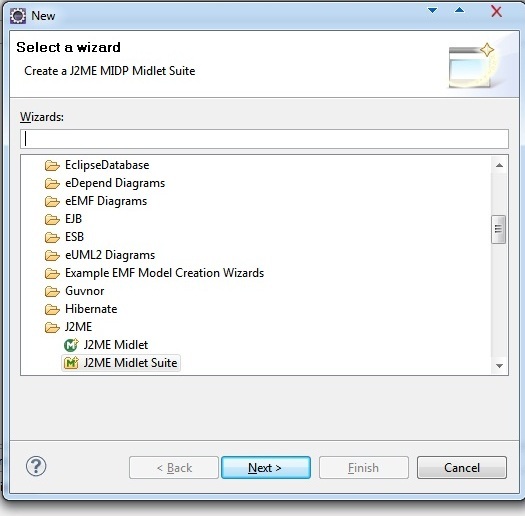 To create mobile applications you have to download the j2me plugin. To install the plugin follow the below tutorial. 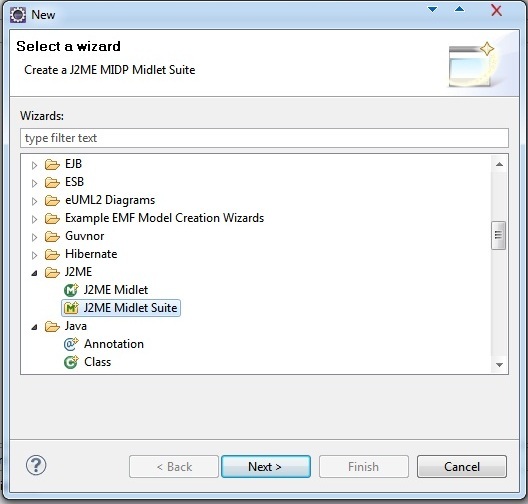 Now you can create any j2me mobile application in eclipse. In here we are going to develop a simple mobile application. In Midlet Suite Properties use the default settings. Now you can see it create your project in Project area. Select J2ME Midlet and click Next. Give a name for the midlet. In here i gave it as HelloworldMidlet and click finish. 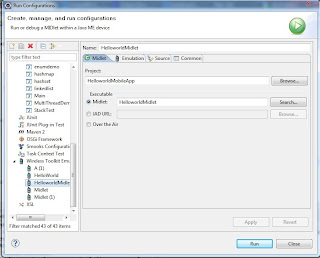 It create the HelloworldMidlet class and inherit the some methods. Now add these following code. We did finish coding now. But in order to run your app you have to do some configuration. Click Browse and select the project. Now you can see it start the mobile device and show hello world.